I think this looks pretty sharp. 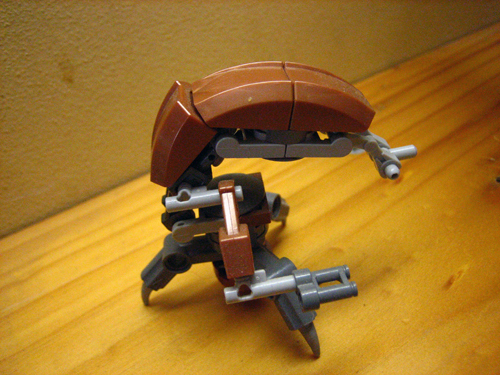 There was always a spare brown sloping part with each MTT set. Something didn't look quite right with the original so using the garden variety black technic piece (circular peg for round hole) to hold it on, I added the third sloping piece. IMHO, it looks better than the original. It looks real cool in action! It doesn't really look that much better. 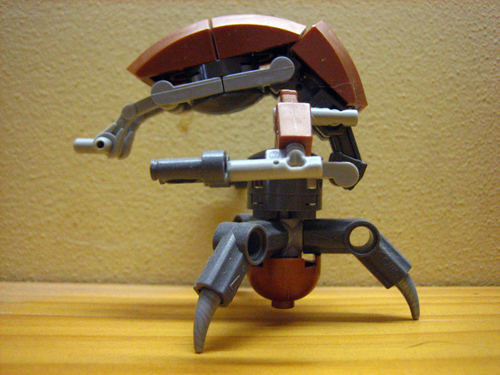 I was perfectly happy with the old school Droideka, but NO, LEGO just has to ruin it. Yeah, I heard that. 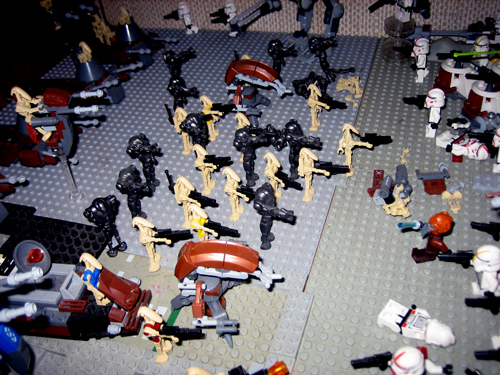 If only they could have left it as is, or maybe make small improvements on the original droideka, instead of trying to reinvent the wheel. However, I feel it makes it just that little bit more "realistic" and like it looks more closer to the real thing. It needs to that extra curve. ...how did he misquote you? That was the first post you made in this thread. 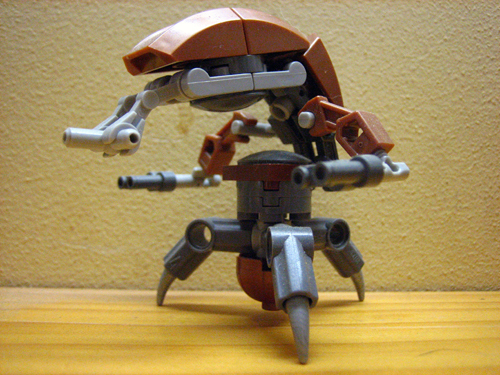 @the droideka, it looks better than LEGO's new version... The old version was 10x better, though. he edited his last post, to remove what he'd misquoted. i'll leave it at that.